Ozone is very useful in dentistry. Dental ozone can be used to remove bacteria from cavities in decayed areas of teeth. Ozone can be used to treat periodontal or gum disease patients or people with periodontal bone loss. Ozone is very useful in treating bone infections and tooth extraction sites. Jaw bone is especially susceptible to infection and ozone is very helpful for the sedation dentist. The bone is porous and has relatively little blood supply and therefore the capacity for the body to fight infection where teeth have abscessed into bone is greatly reduced relative to other parts of the body. In the case of a tooth abscess or gum infection, teeth can be removed and Ozone gas can be delivered into the porosities of a bony extractions site. The Ozone gas will destroy the bacteria which are most often anaerobic bacteria or bacteria that die in Oxygen rich environments. Ozone is 03 or 3 oxygen atoms and it is very similar to its brother molecule 02 which has 2 oxygen atoms. The additional difference is 03 has an additional electron. Oxygen is the air of life for our bodily processes and in most diseased areas of the body there is a deficiency of oxygen and acidity. Ozone reverses the acidity and oxygenates thereby reversing and curing diseased parts of the body. Blood is what carries oxygen throughout of body. In areas of the body such as bone, gums, fingernail beds, etc. ozone is especially helpful in treating infection and disease due to the decreased blood flow to these areas. When dentists remove decay from infected teeth, the decayed portion of the tooth is soft, discolored and infected with disease-causing bacteria. The dentist removes this decayed, diseased tooth structure. The remaining solid tooth structure void of what has been removed has a “cavity” in it and needs to be filled or restored with a crown. 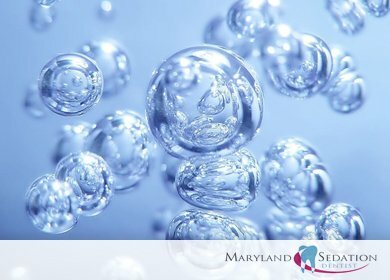 Prior to placing filling material into the cavity it is best to deliver ozone gas into the cavity to disinfect the pores of the teeth which are still infected with bacteria. If the dentist does not use ozone, the filling seals bacteria into the pores of the tooth, leaving the tooth to fight and destroy the bacteria. Often the exact opposite occurs and the tooth dies necessitating an extraction or a root canal. The benefits of Ozone in this case are huge and obvious especially in sedation dentistry where a lot of surgery and more complex dental work is done.